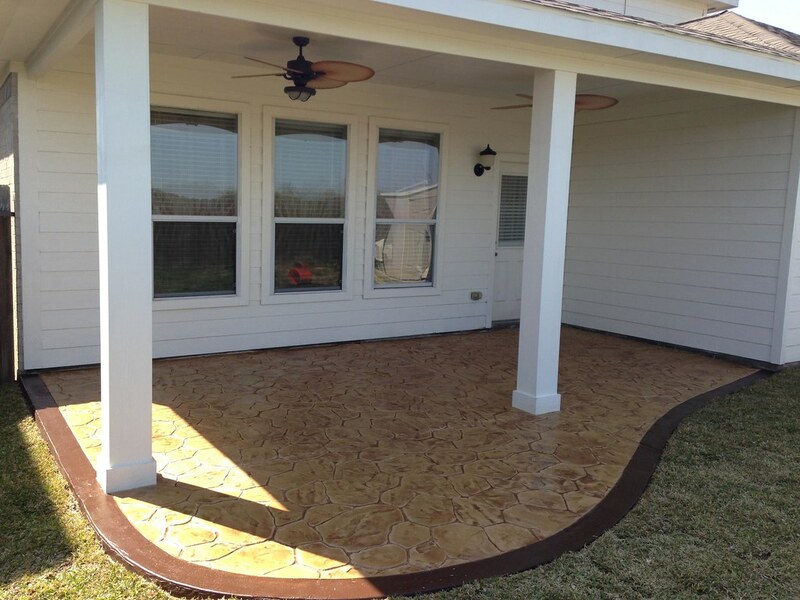 Having a patio can be a great thing for your backyard, but many people give it up because it can be rather costly to hire someone to construct it. However, an alternative would be to build it yourself. In this way, you can save some money and make sure the result is just like you wanted it. 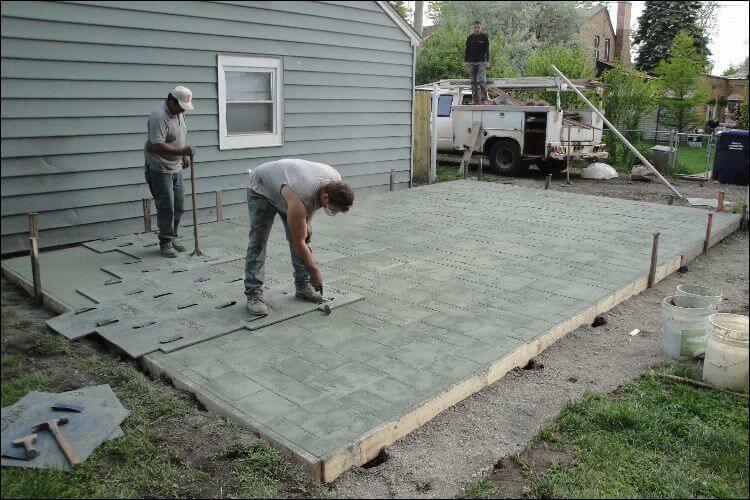 Today we will present you a step by step guide for building your own DIY concrete backyard. 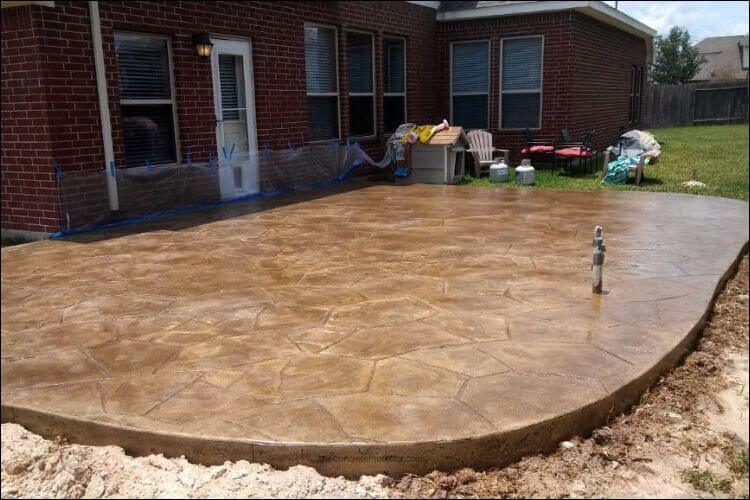 Now you should think about the placement of your DIY concrete backyard. Think about what size you want it to have and choose the exact dimensions. Depending on the size, you will have to assess the amount of concrete you need. Moreover, you must decide whether you need a mixer for the job or not. Ideally, you should choose an area that is even. If you don’t have one, make sure you level it before laying the concrete. What’s important is to check if the local building codes ask for a permit to carry out this task. Some state regulations refer to the distance from the house lines and the property. There might also be some other rules, so pay attention to this. Set some stakes into the ground to have a better idea of the final shape. Then, use string to connect the stakes, as well as a line level to assess the slope. Now is the time to adjust the area in case it’s not okay. A good tip is to cut the stakes to a pointed end so it’s easier to place them into the ground. If the soil is uneven, you can either dig from the high side or add some more terrain to the low side. Before laying down the concrete, you need to take out the grass, roots, topsoil, and weeds for the area you surrounded with rope. For this, you need to check the gardening tools list you have and use what you need: shovel, hoe, etc. 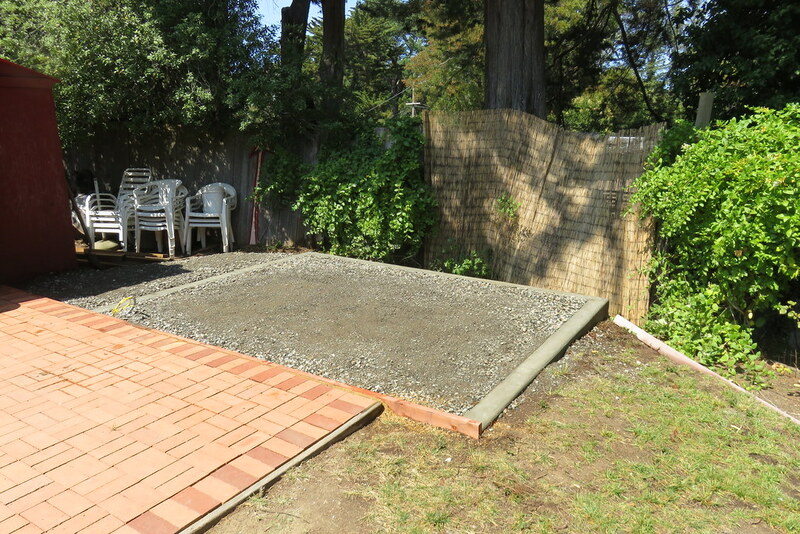 Choose whether your future DIY concrete backyard will be raised or level with the ground. If you choose to have a raised one, you need to dig 4 inches (10 cm) deep. However, if you want it to be level, dig 8 inches (20.3 cm). It might be necessary for you to compact the soil. You should also think ahead. Are you planning to store something heavy on the patio, such as a brick barbecue or some cast iron garden furniture? In this case, consider pouring a concrete foundation for more stability. After you compacted the earth, it’s time to add some crushed rock or gravel. The layer should measure 4 inches (10 cm) in depth. Compact this layer and lay it evenly. It’s extremely important to do so. 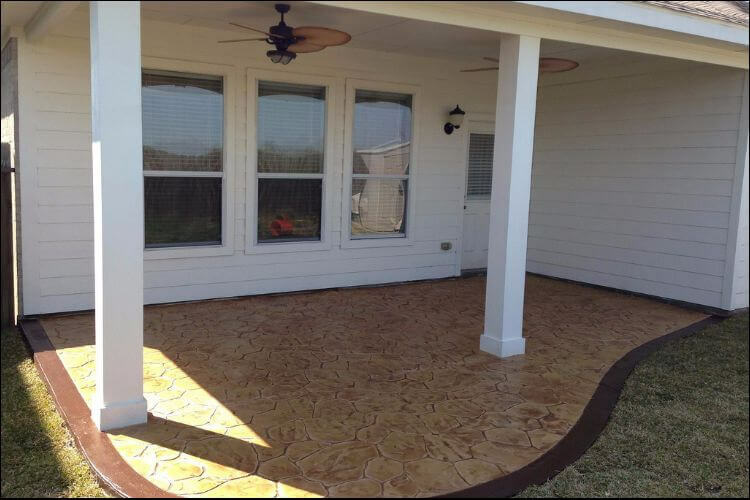 Any change in the height of this base can make the concrete patio shift or even crack in time. Place some new stakes around the area of the patio and keep 2 feet (0.6 meters) between them. They should be found a little bit outside of the stakes you used earlier. Later, you will need them to sustain the outer edge of the DIY concrete backyard. Make sure they are stable on the ground and allow for a slope. 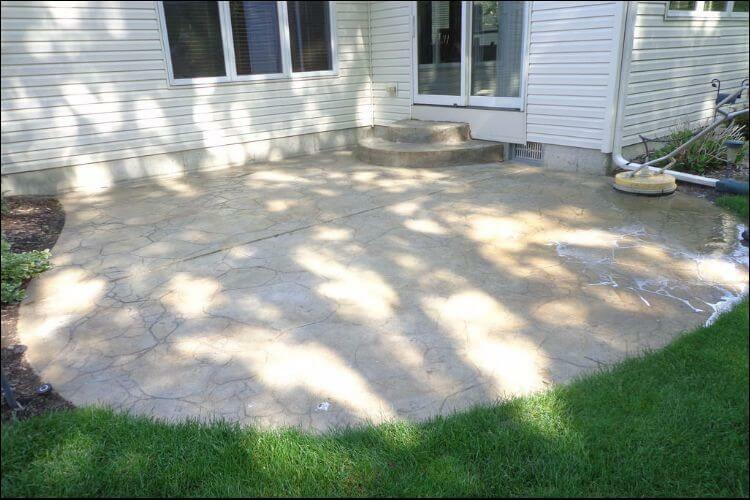 A slope is required because you will want the water to run off the patio. A standard dimension is 1/8” per foot, but you should check the local rules for this. The stakes should be made of sturdy wood since wet concrete can be extremely heavy. While drying, the concrete may break or bend the wood so be careful with that. Another option would be to go for steel concrete forms if you want to avoid this issue. The form or the frame is used to support the concrete. Get some wood and cut pieces of 2×4. The inside dimensions should be equal to the patio area. When the patio is ready, you will remove these forms. Because of this, make sure you don’t take them into account when imagining the dimensions. 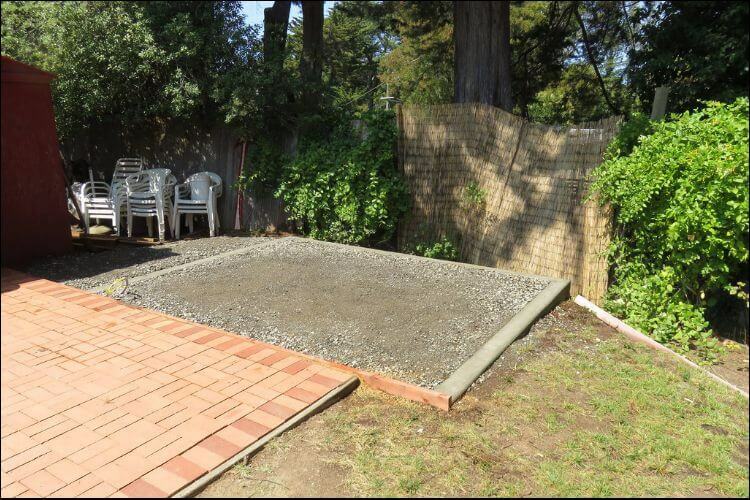 Otherwise, the concrete backyard will end up smaller than you initially wanted. Insert the 2×4 boards and follow the string you set between the stakes. Make sure they are perfectly aligned and placed under the string. Double check if they are placed where they should be since they are the outer walls of the backyard. Before moving on to the next step, it would be a good idea to make sure that all the elements (nails, stakes, forms) are sturdy enough. Choose some long and strong nails for this job. Alternatively, you can also use some screws, but you will need a screwdriver for this. When you are nailing the forms to the stakes, make sure they are level. Yet again, you can use a string or a level for this. Remember: if the forms aren’t level, neither will be your concrete. The wood stakes you used shouldn’t be seen above the concrete. For this, cut them with a saw just below the boards’ edge. An important thing to keep in mind is that if you are pouring concrete next to a structure, a house, or another concrete slab, you should use an isolation joint between them. This will allow the concrete some space to move, thus minimizing any possible cracking. You can find such a joint at any home improvement store. The next step is to coat the boards with some commercial agent or vegetable oil. This layer doesn’t allow the concrete to adhere to the boards. 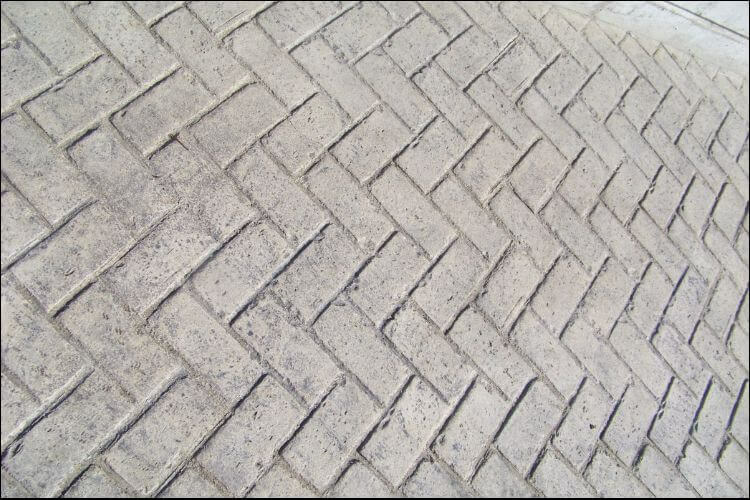 As such, you will be able to remove them easily after the concrete dries. For this step, you should follow the instructions you find on the bag of concrete. There you will find how much water you should use and how to mix it. If you want to find out how many bags you need, determine the cubic yards of the site. Multiply the height, width, and thickness and you will get your result. There are also some concrete calculators available online. In case you’re mixing it by hand, pour the mix into a wheelbarrow or a mortar tub and use a hoe or a shovel for mixing. Remember to protect your eyes and to wear gloves. If you will use a mixer, make sure it’s close enough to the area you will build. This step should be done all at once if you want to avoid different settling or shifting of the slabs. If you plan on using a wheelbarrow, create a ramp so that you can pour the concrete there. Careful, since the ramp shouldn’t affect the forms in any way. You can still use 2x4s or some other long wood pieces for the ramp. Here, it would be good if you had somebody to help you. They should shovel out the concrete and you should hold the wheelbarrow. This material is heavy, so dump it as close as you can to the place where you want it to be. Use tools to spread it in the corners or the areas you can’t reach. Alternatively, you can wear a pair of rubber boots and simply walk in it as you spread it around. With an aluminum screed or a flat piece of wood (still a 2×4), level the top part of the concrete. Start at one end and work your way to the other. The best way to do this is to use a sawing motion. Ideally, you should have another person to help you. With the help of a bull float, you should smooth the concrete surface. 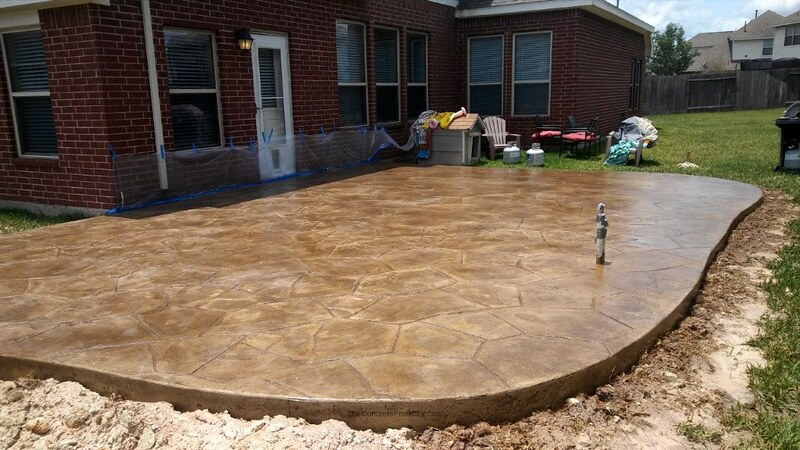 Move it around to smooth the DIY concrete backyard. Also, make sure you fill up the lower spots. Don’t panic if you see water rising to the surface when you’re carrying on with this step. Simply wait until it disappears and finish the job. Here you will need to use an edger. Slide the tool between your forms and the concrete slab and make a rounded edge. Wait for the concrete to be dry enough to support your own weight, then cut some grooves in it. Keep a space between them of 8 feet. With these control joints, you make sure the concrete is not affected if it changes or shifts in time. Finally, hand float the concrete. For this, use a magnesium or steel float to smooth it all out. The final step of this guide on making your own DIY concrete backyard is to let the concrete cure. Wait at least 2 days. During this time, it’s better to cover it either with plastic or with a special curing compound, just to make sure it remains moist. When it’s cured, take out the forms. Here, you will need to pay special attention since you run the risk of chipping the concrete. Finally, though it may look long and intimidating, this DIY concrete backyard project is not that complicated. The most important thing is to be careful when you pour it. One thing would be that it’s heavy, while another problem is that it may crack or shift if you don’t do it correctly. 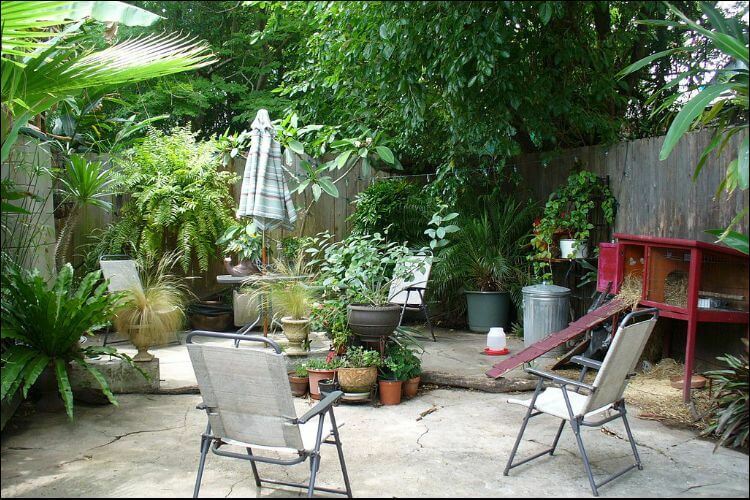 However, if you follow the steps above, you will end up with a nice patio where you can relax for a long time now.